Gruffts 2018 promises to be the worlds greatest goat show! It’s the goat-to event of the year as Pennywell brings you a new event to showcase our many goats, some of the format may seem somewhat familiar! 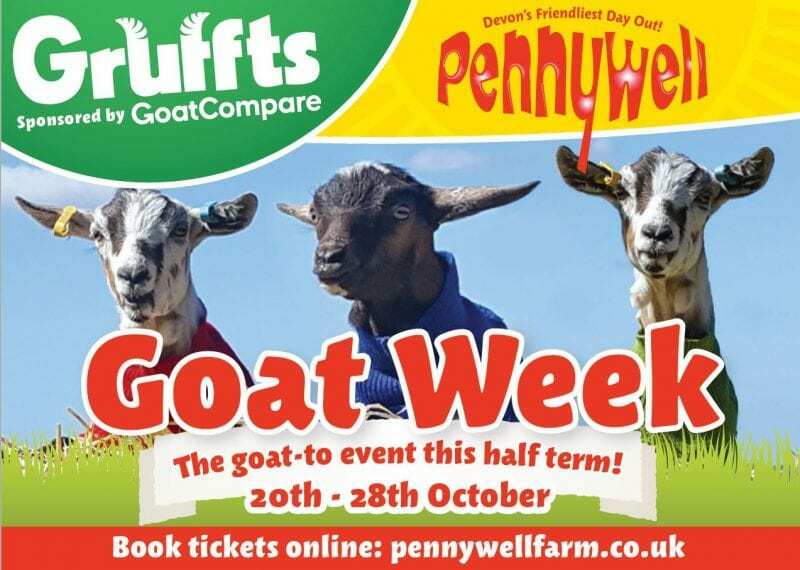 Pennywell’s Chris Murray says, “Our visitors love goats and our goats thrive on human contact and interaction, hence we came up with the idea of a goat show, Gruffts. Among the breeds represented will be Toggenburgs, Pygmy’s, Saanens, Anglo Nubiens and Golden Guernseys all of whom will be suitably groomed and prepared for the big occasion. Gruffts 2018 will be taking place from 20thto 28th with a whole host of other goat themed activities, plus all Pennywell’s famous half hourly activities, shows, rides and displays.